Shogatsu (New Year) are considered the most important holidays for the Japanese. On January 1st, manyJapanese visit shrine or temple for hatsumoude. Hatsumoude refers to the first visit to a shrine or temple in the New Year. People make various invocations at this time, including good health throughout the year, safety of one's family, or successfully passing an examination. On the other hand, during the New Year celebration, Japanese people eat a special selection of dishes called osechi-ryōri. They are usually prepared and served in a boxes in the last few days of the previous year. Since osechi dishes are preserved food that is supposed to be during New Year, they're usually quite sweet and strongly flavored. Alongside osechi-ryori, an essential part of the Japanese New Year meal is ozoni , a hot soup that contains mochi (a Japanese rice cake made of glutinous rice). Mochi can be purchased at supermarket. In rural areas the mochi will be from a mochitsuki taikai, a mochi-making event held by large families, neighborhood groups, companies and other associations. 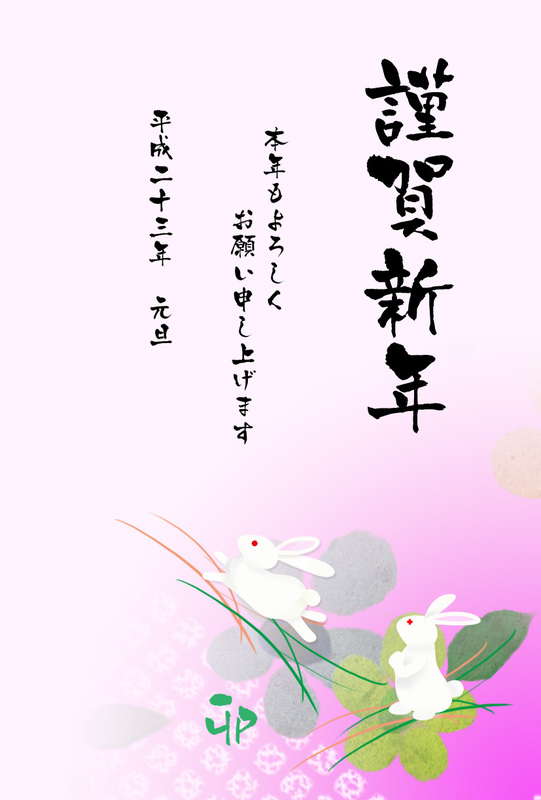 On the other hand, Japan has a tradition of sending out "nengajyo" (New Year's Day postcards). 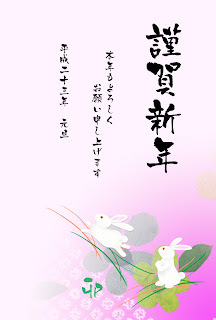 On the front of a standard postcards there is a family picture or themed with the animal to the year (2011 is the year of the rabbit), with a greeting. The back of the card has the addressee and the sender's address and contact information. There is also a raffle number for post office's the year end raffle with prizes of televisions, computers, stationary, etc. Every year our family sends out and gets a bunch of nengajyo cards from relatives, friends, coworkers past and present, and children's schoolmates. Shogatsu lasts from January 1st-3rd. If you visit Japan during Shogatsu, it may be a good experience to enjoy our new year celebration with Japanese families.